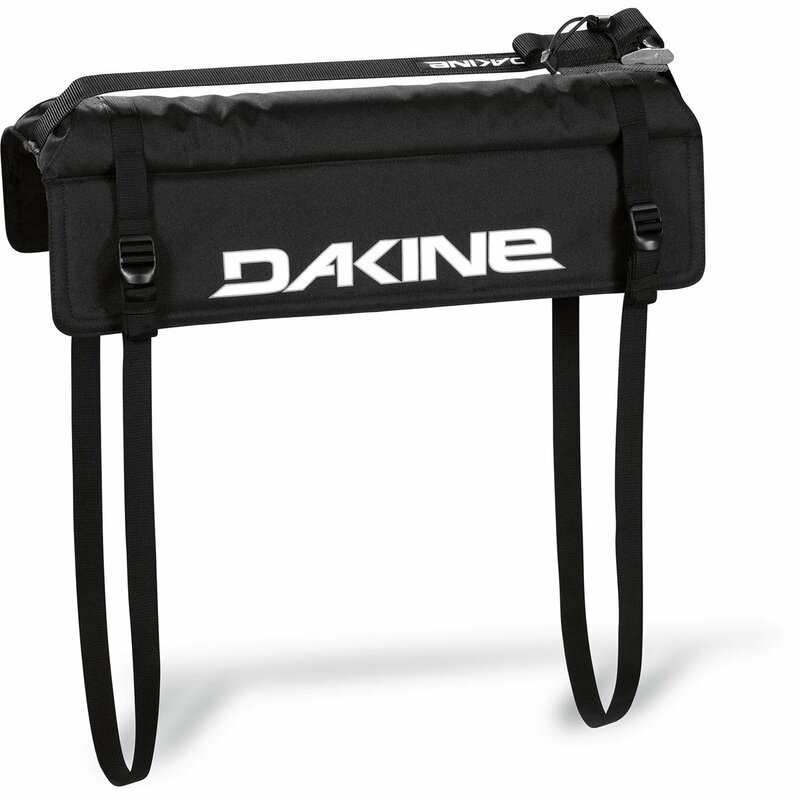 The Dakine Tailgate Surf Pad helps protect surfboards transported in a truck bed. This 24-inch wide Tailgate Surf Pad features contoured raised foam with padded flaps draping over the tailgate to offer added protection. Attached straps easily secure the pad to the tailgate, while an additional cam strap keeps your board centered on the foam.